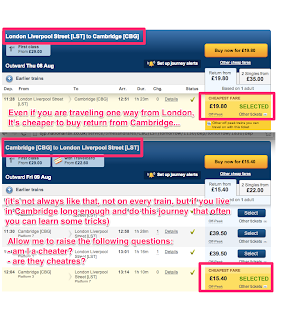 In a nutshell: it's cheaper to buy return ticket form Cambridge than one-way from London. Shall I be put under scrutiny for saving money? See my recent post on medium - do you really think that way? 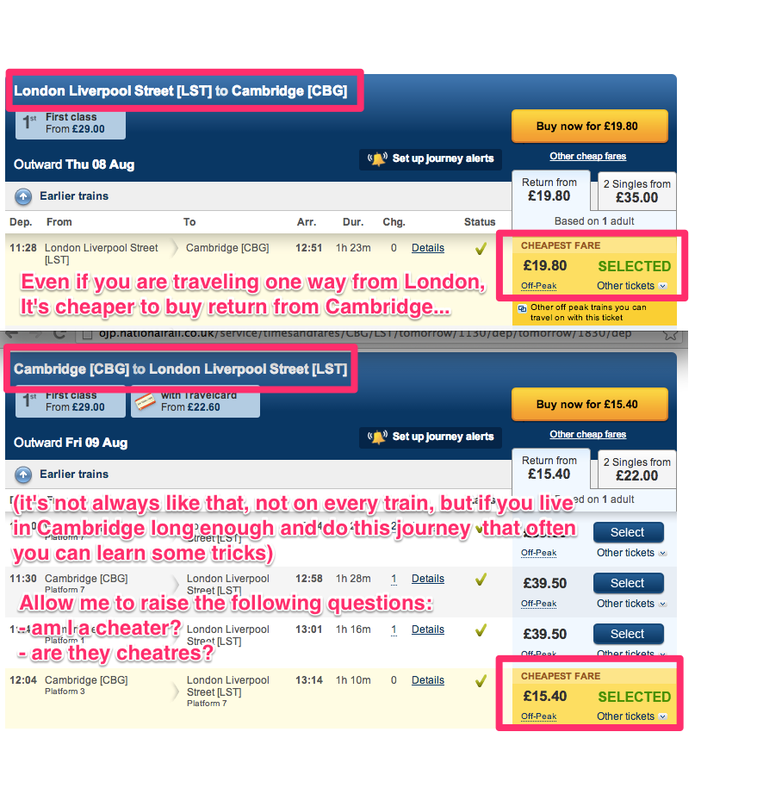 Any ideas what is the idea behind such unintuitive pricing policy? Whatever... Not willing to pretend to start to think about commencing actions that will initiate the change. I'd rather bend the reality and go sideways so the money is never an issue. If you take money of the equation you free a lot of resources and allow other priorities come to light. It's a game changer.